We like to talk a big game, but most press trips are cushy, low-impact affairs where the worst you can expect is lost baggage or the airline lounge running out of your preferred tea. 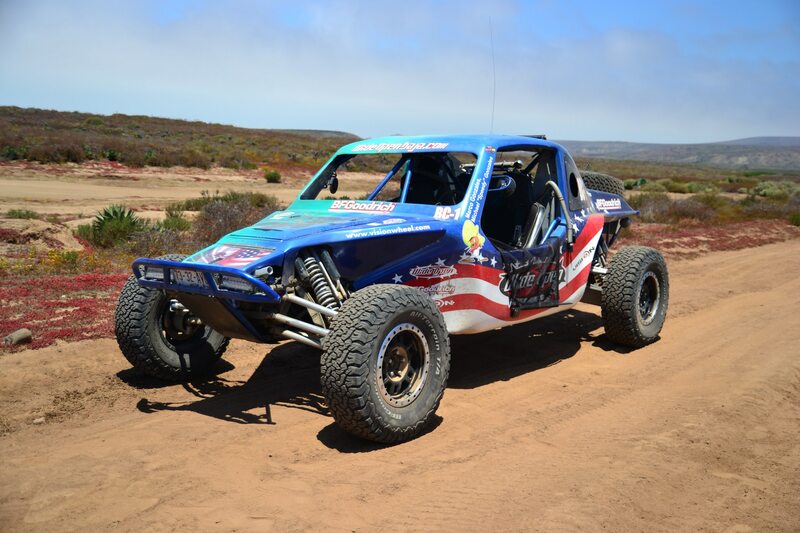 Sometimes, a swift kick in the spine is a great way to clear your lungs of complacency, as was the case with a high-speed blast through the craggy backroads of Baja California, Mexico. 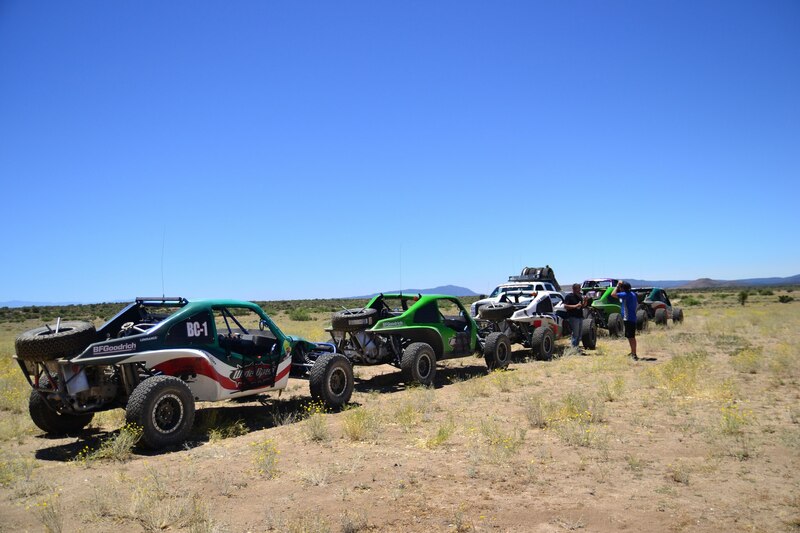 The organizer of the trip was Wide Open Baja, an adventure experience company that specializes in satiating that off-road racing itch. 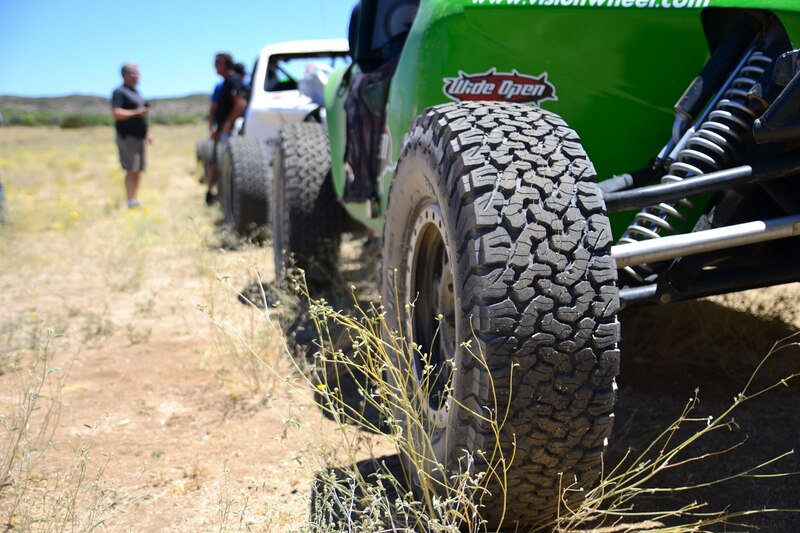 No urge is too severe–if you’ve got enough courage, time, and money, Wide Open will give you an open seat and full team support in one of their Baja 1000 entries. 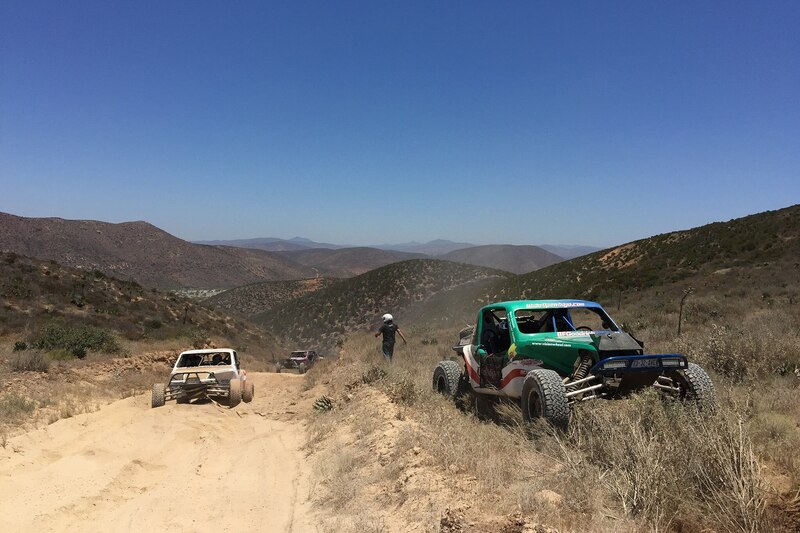 I partook in one of the popular Baja experience packages, a handful of guided tours aimed at bringing a grit-covered slice of the 1000 to the paying masses. 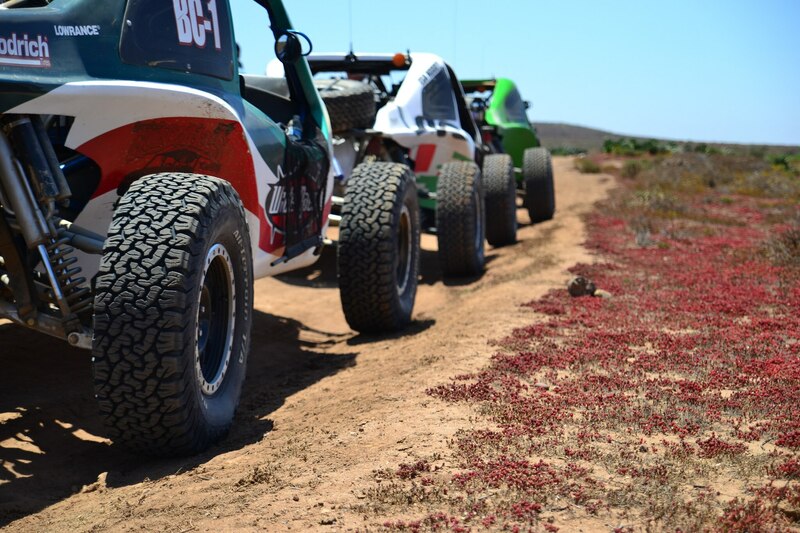 It was a four-day affair, beginning in Ensenada and winding down through the stratified biomes of the Baja peninsula behind the wheel of some seriously capable buggies. 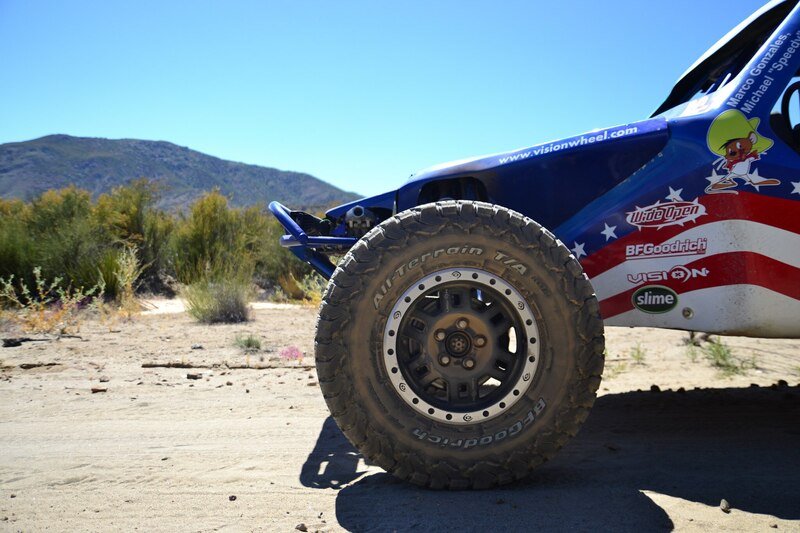 After meeting up with the Wide Open Baja team near San Diego International Airport, we piled into a van for the border crossing and roughly two-and-a-half hour drive from Tijuana to Ensenada. 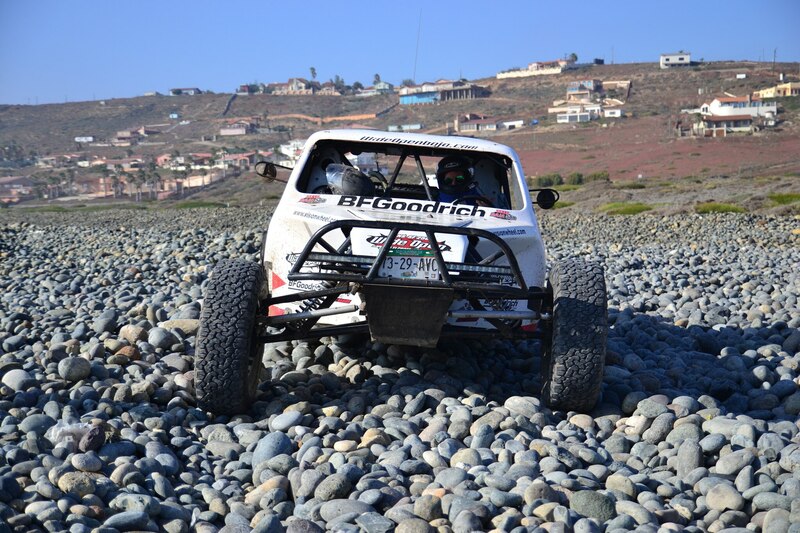 The highway first takes us southwest towards the city of Rosarito and then runs down the coast, eventually cutting through the coastal cliffs that separated us from our destination near the southern portion of the route. 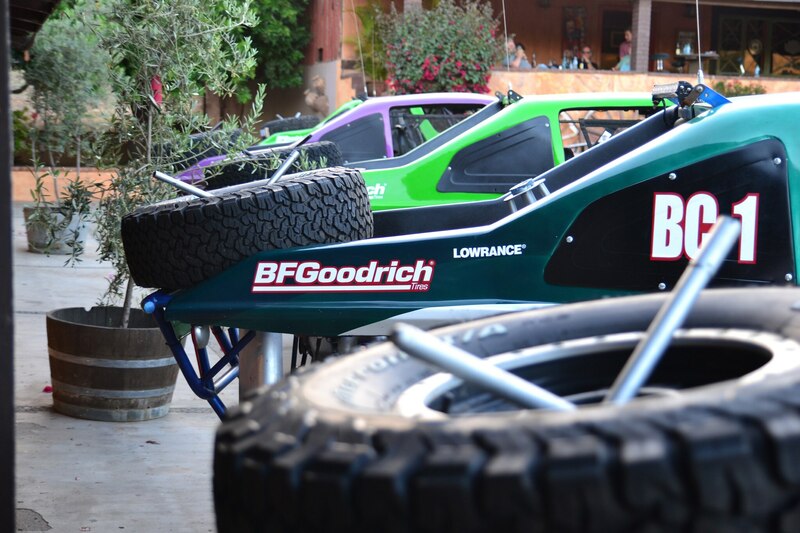 Our first stop and overnight location was the idyllic Horsepower Ranch situated just south of the city. It’s a hacienda with a separate adjoining strip of rooms, with fabulously delicious food supplied by the cantina that was just a tomatillo’s throw away from the lodging. 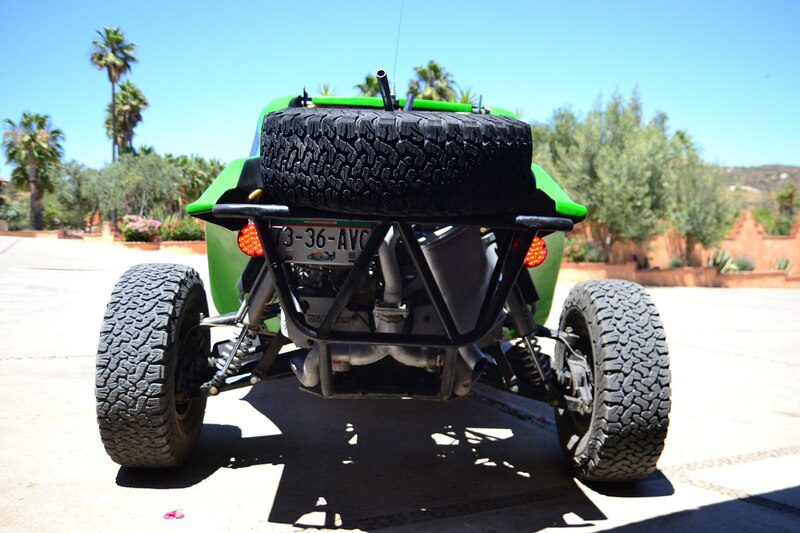 After filling up on handmade tortillas and frijoles, we explored the buggies that were parked in a neat line outside our rooms. 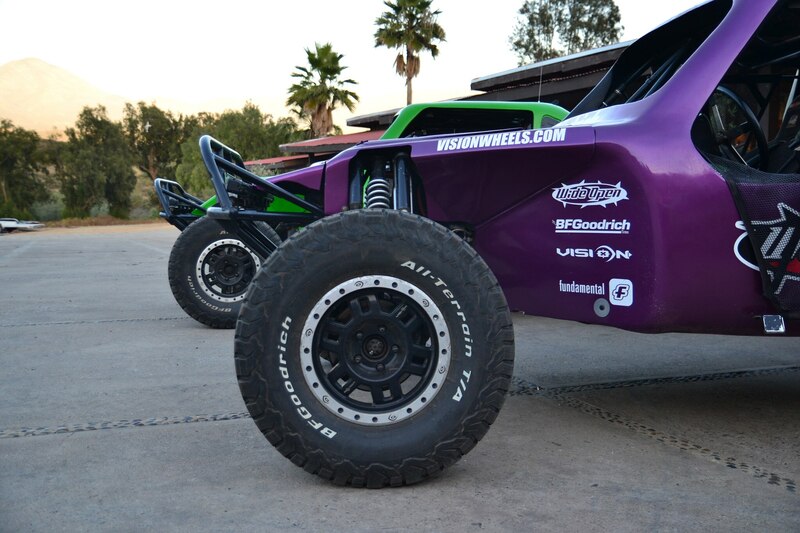 Wide Open calls these custom tube-frame weapons “Baja Challenge Cars,” and it’s not hard to see why. 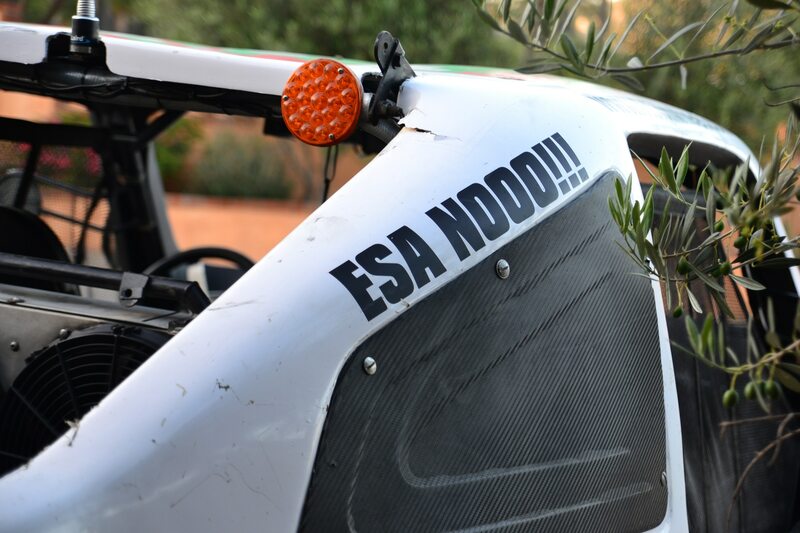 Each is essentially fiberglass-wrapped rollcages with a powertrain, barebones interior, and all necessary auxiliary gear for racing—effortlessly aggressive and absolutely purpose built. 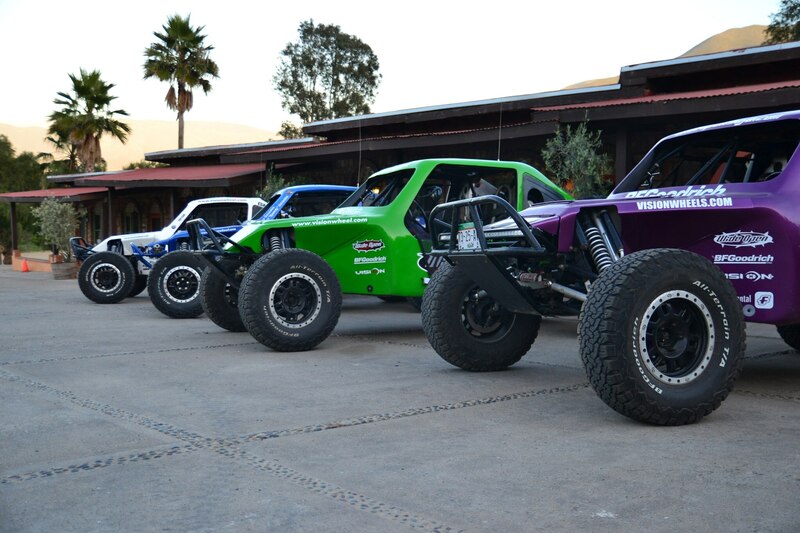 Despite the ‘roided-out appearance, these aren’t overboosted monsters. 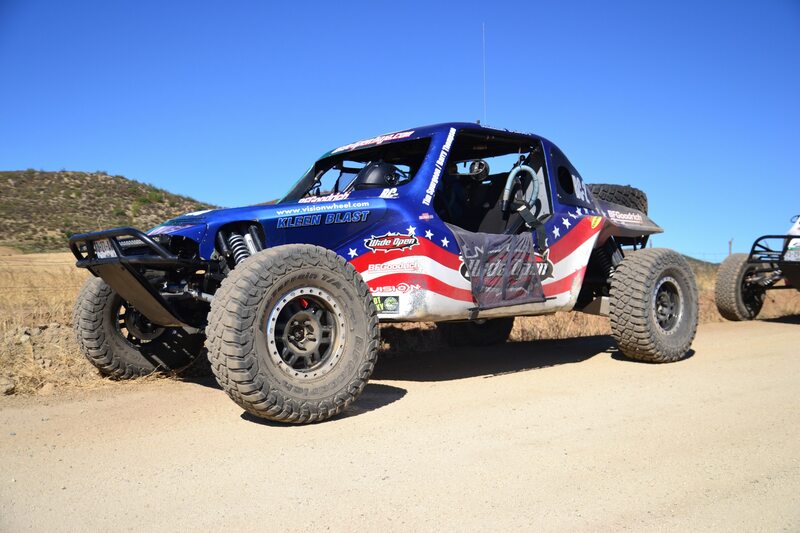 Power comes from a naturally aspirated Subaru flat-4 that sends roughly 175 hp to the rear wheels through a special four-speed manual transmission developed specifically for Baja. 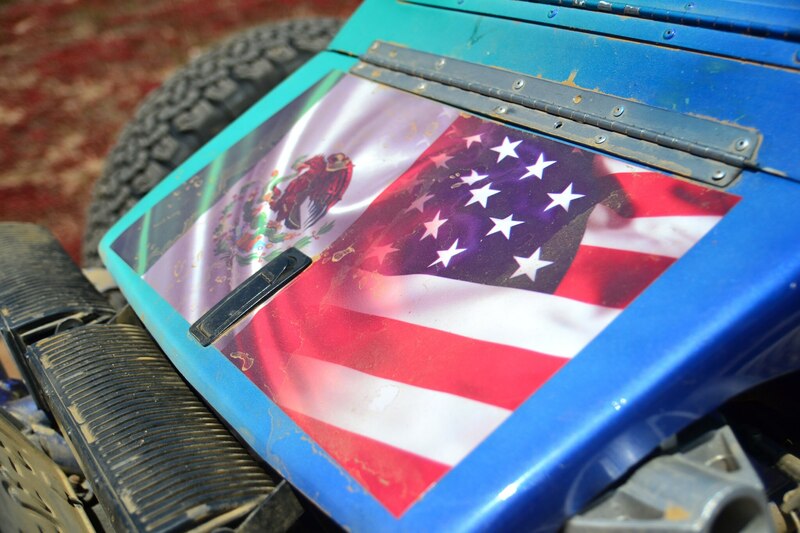 Acceleration is quick enough, but out among the dust and rocks, the buggy’s 90 mph top speed is terrifying. 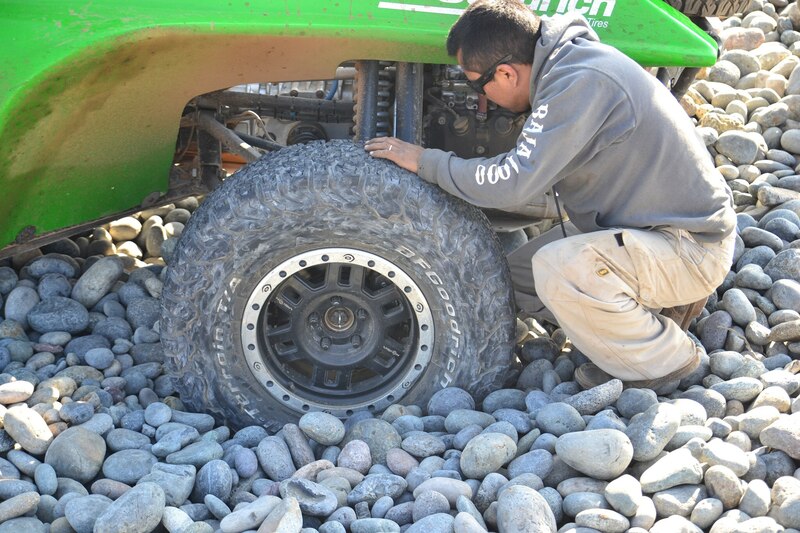 The Baja 1000-ready rigs require patience for ingress and egress. 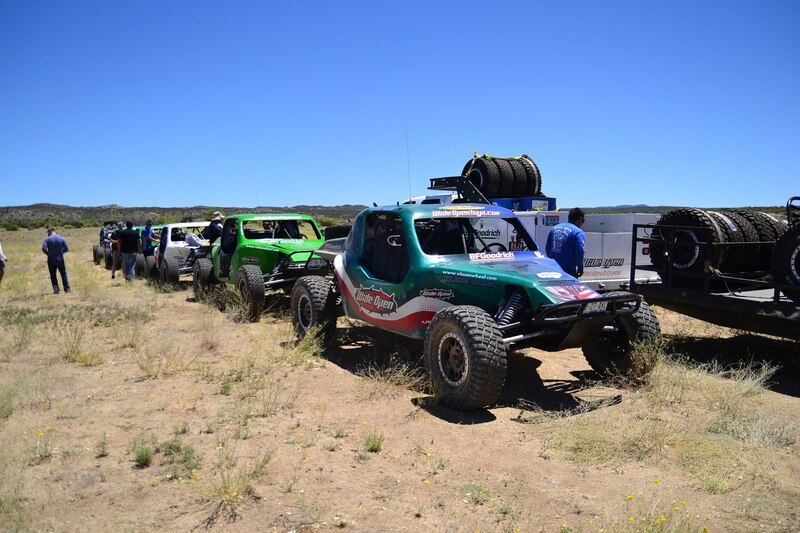 Each break–water, bathroom, or food–took at least 3-5 minutes on each end for each driver and passenger. 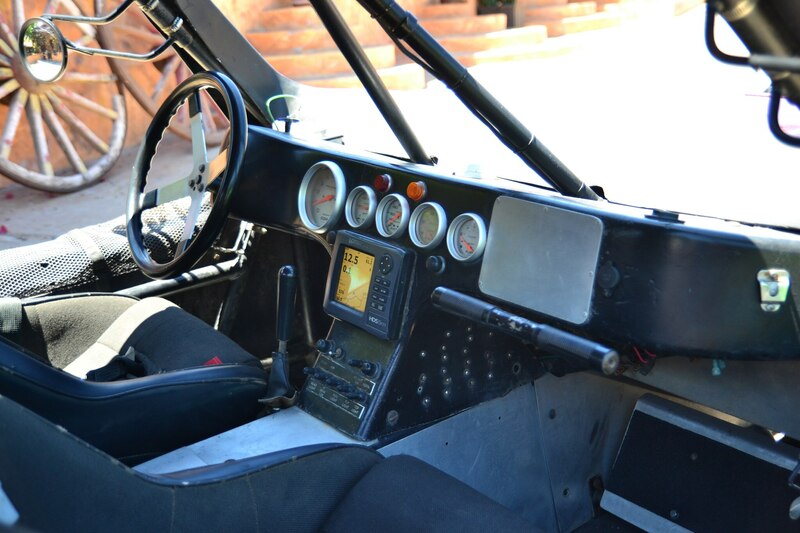 To get in, you step through the open window and drop yourself down into the bucket seat. 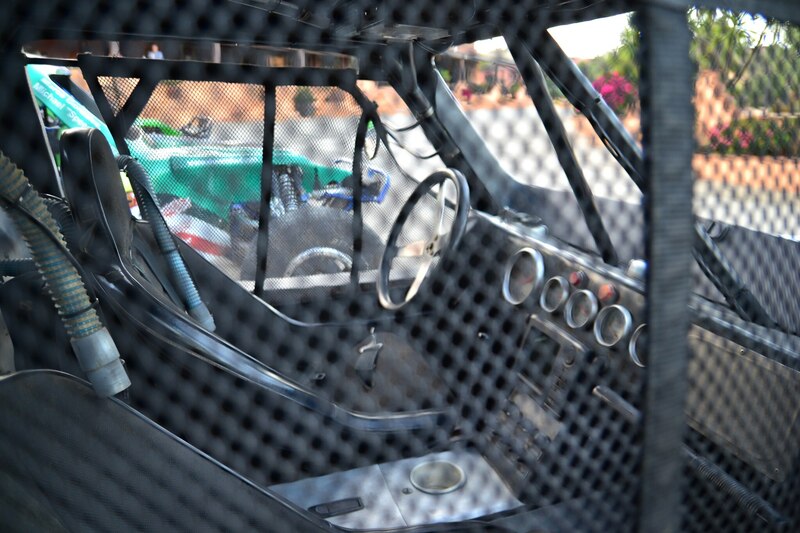 Attaching the window net comes first, followed by the five-point harness. 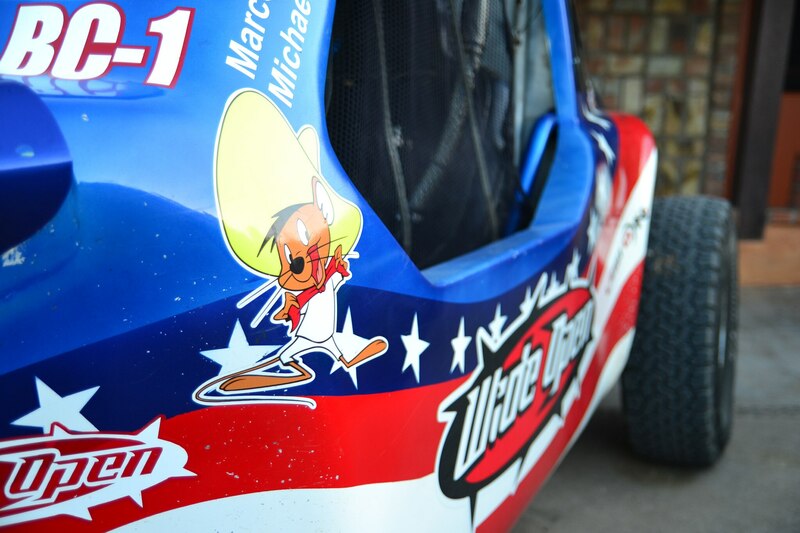 The helmet is a process by itself that requires first adjusting the dust shield attached to the rim of the helmet, then hooking up the mic cable and the thick hose that fed a constant stream of fresh air into the helmet. 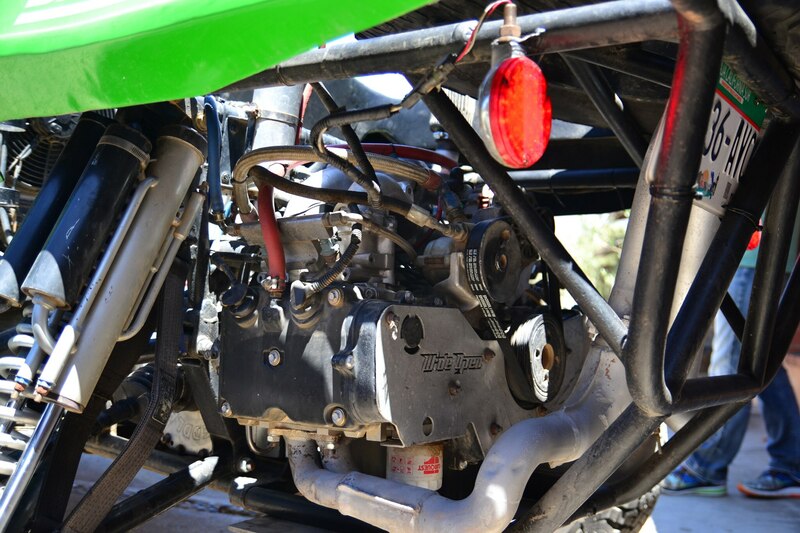 Once you’re in place, fire the car up by priming fuel pumps and perform a mic check. We left Horsepower Ranch shortly after daybreak. 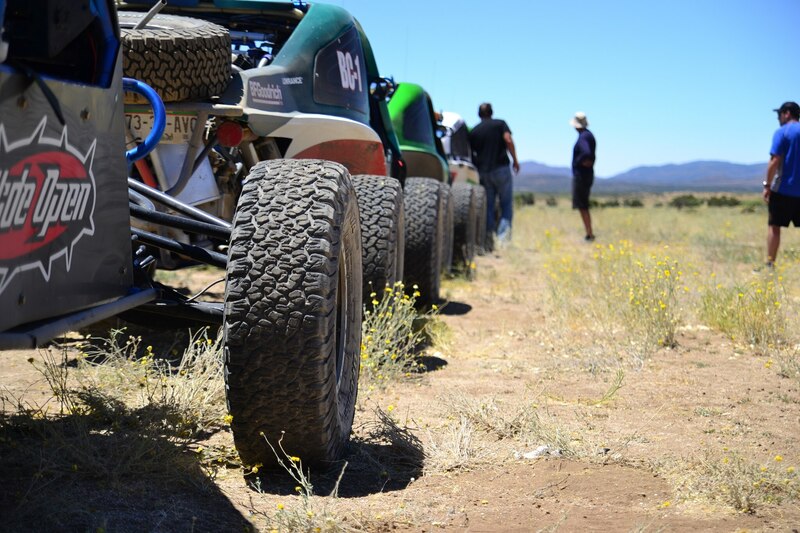 One of the entrances to the race course begins right in the foothills of the ranch, and we wound our way up the dirt path slowly to warm the cars up, only gaining speed when the road spit us out onto a surprisingly smooth asphalt highway. 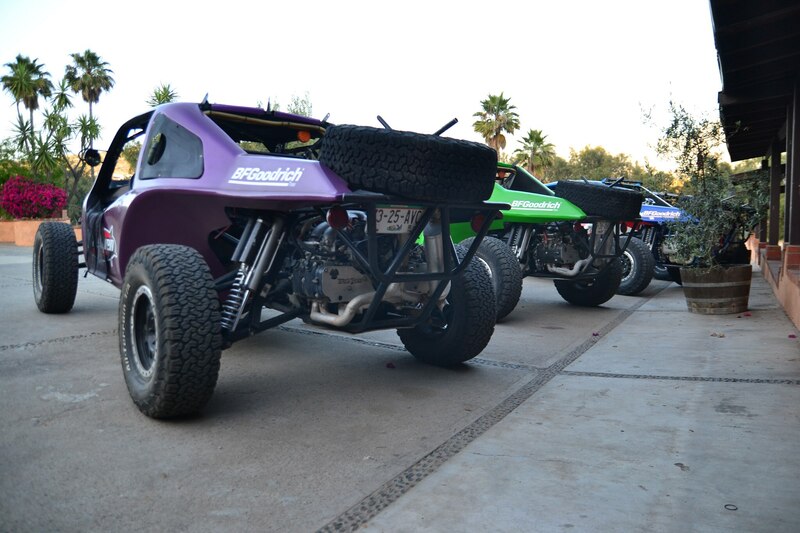 With 18-inches of suspension travel and meaty 33-inch BF Goodrich tires, these buggies were happiest in the dirt. 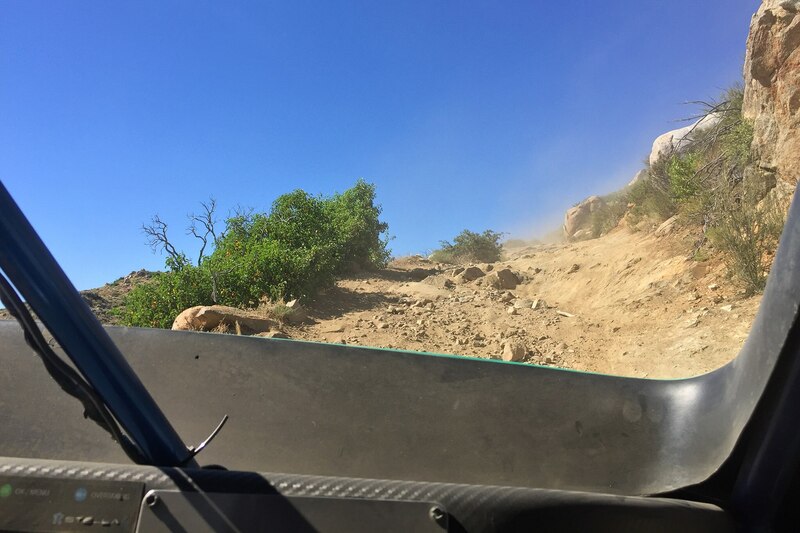 Every time we encountered smooth pavement, we swayed, overcorrected, and slalomed our way down the motorway until our guide, who was leading in a Challenge Car of his own, turned off onto one of the many tributary roads connected to the highway. The race route itself is hardly organized. 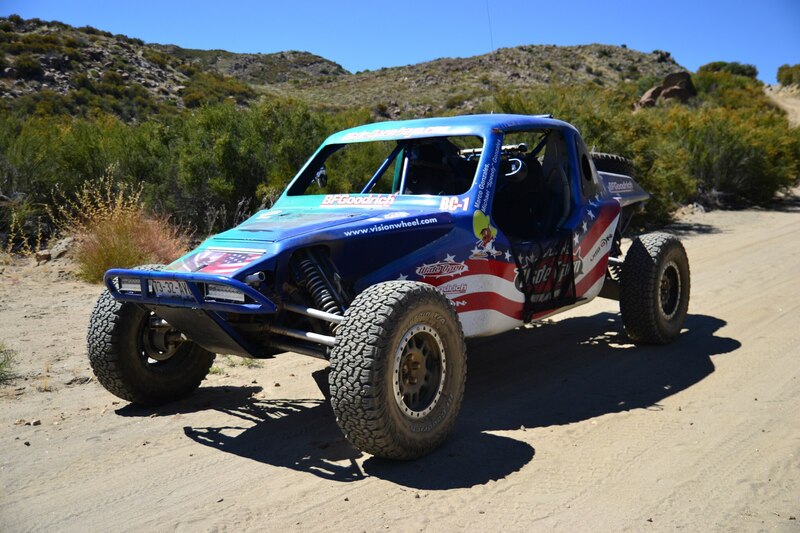 The entire Baja 1000 is held on a rat’s nest of roads that range from heavily trafficked dust farm roads to mountainous ridges that were nearly calcified over thanks to fallen rock and gravel. 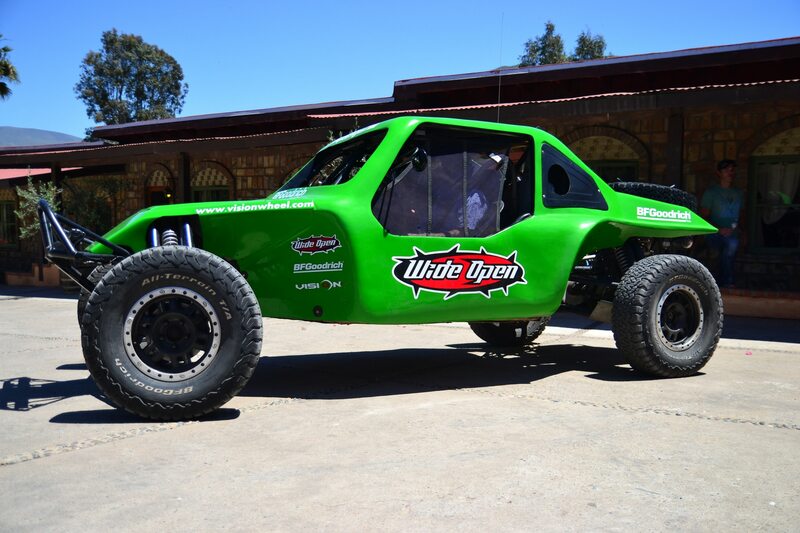 Wide Open makes no bones about the inherent danger–you’re only as safe as you drive. 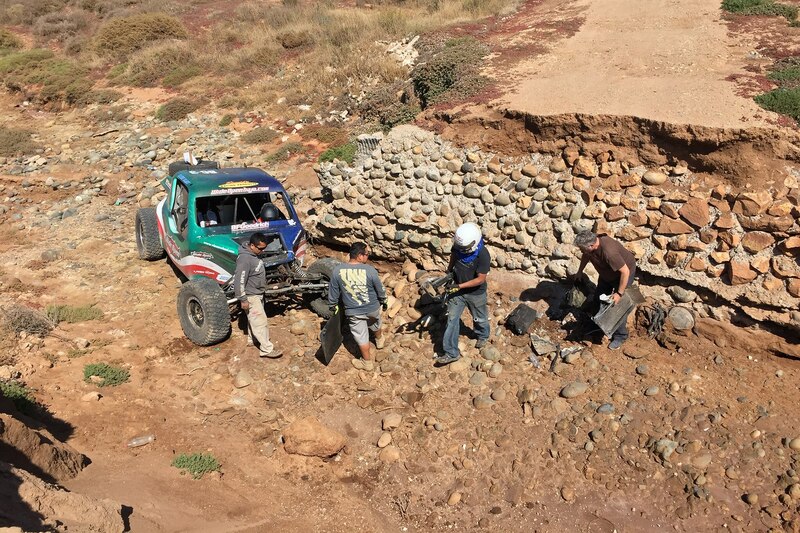 Aside from rolling off a cliff or stuffing the $100,000 Challenge Car into one of the many jutting boulders, the locals pose the greatest threat. Many of these roads are regularly used and visibility with a full helmet and window net is poor at best. 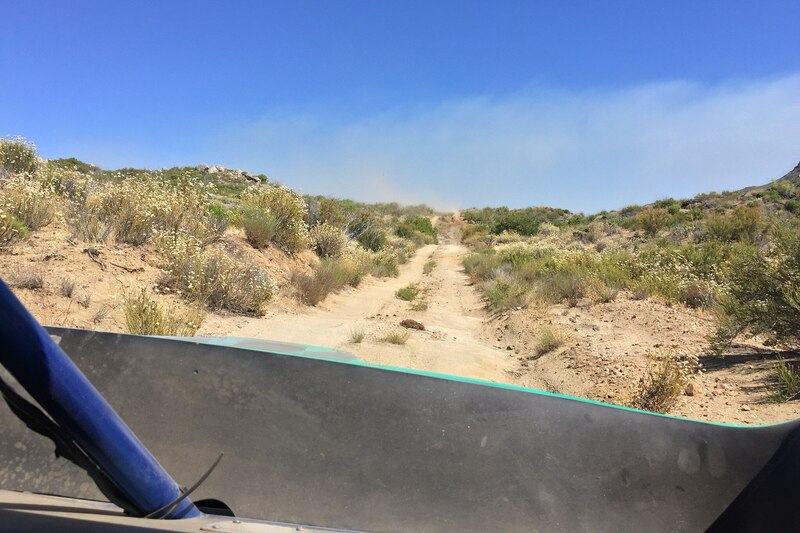 We were spaced out far enough, but each radio call from ahead warning us of an oncoming car, cow, or unexpected ravine at a specified mile marker put me on high alert. 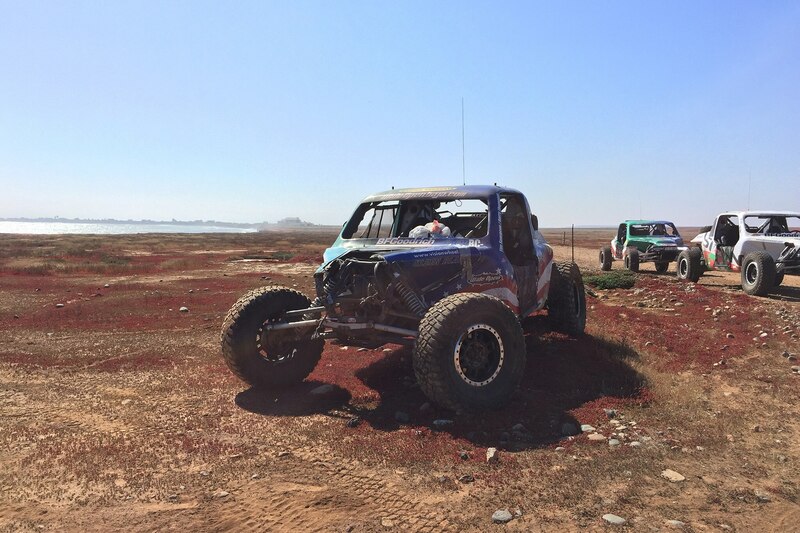 For me, I had the added stress of “racing” off-road for the first time to occupy my mind. 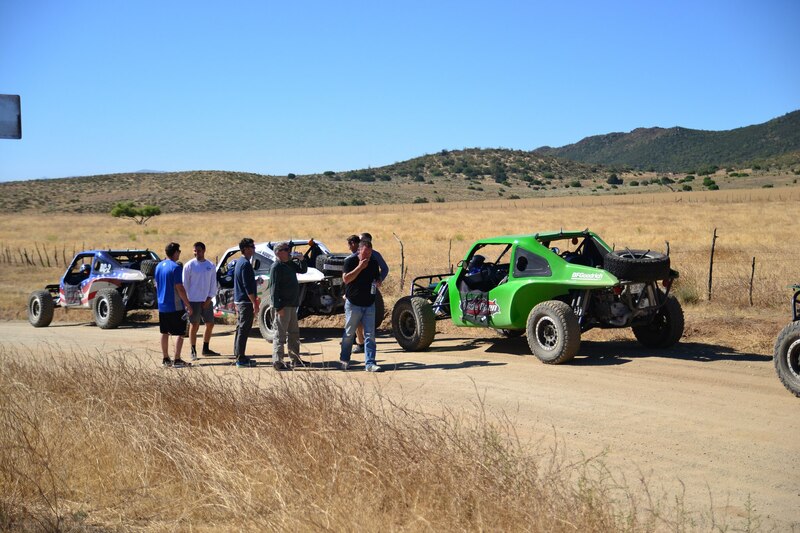 Aside from a brief stint in a UTV at last year’s Legends Rally held on many of the same roads, my performance driving experience is limited to circuits and California Canyons. 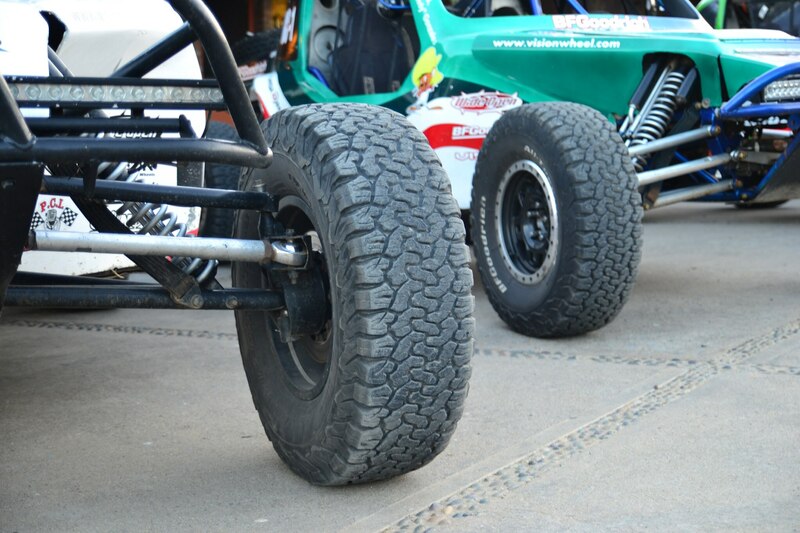 The rear-wheel-drive, rear-engine buggies were slippery, requiring an active foot for tight corners. 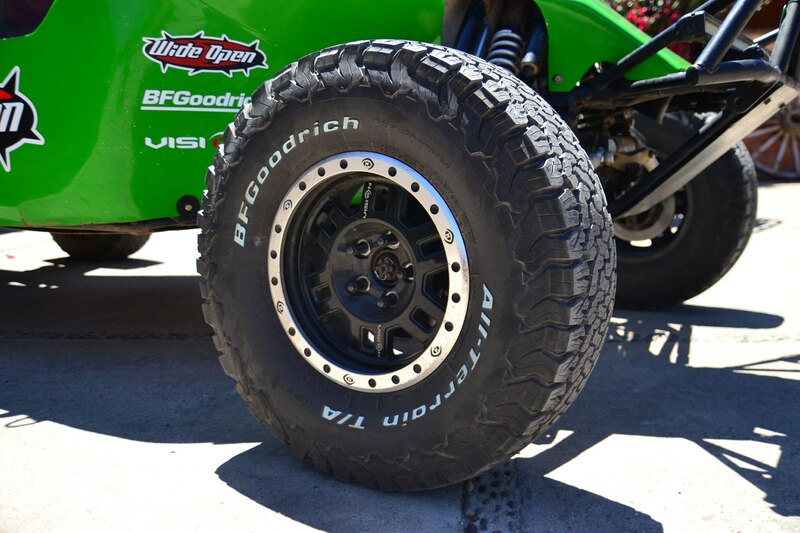 Steering was quick and relatively vague, as expected with such massive tires. In a straight line, with plenty of visibility, I was most comfortable sitting around 55 – 60 mph, and trust me, that was fast enough. Despite fearless locals and wayward cattle, the unfiltered beauty of Mexico was incredible. Over the course of three days, I blasted through so many different biomes that it’s difficult to remember each in solidarity. 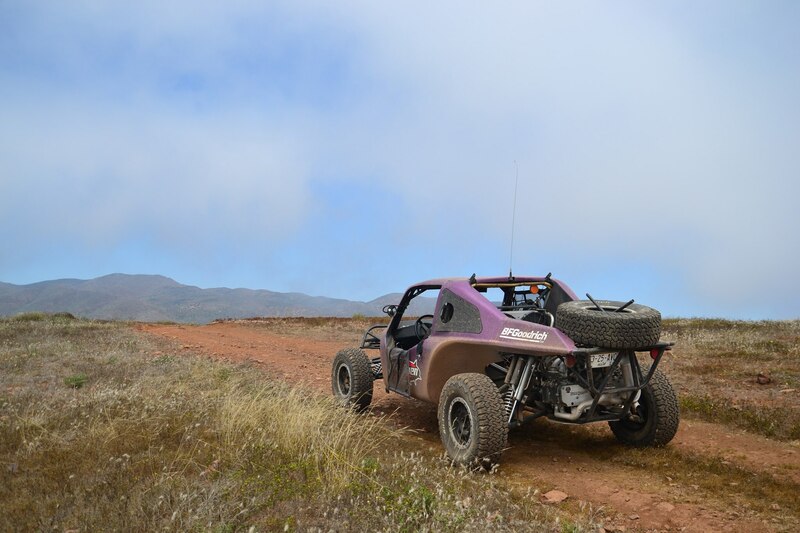 While the majority of the first day was comprised of regular dust-covered ranch roads, we eventually reached a mountainous region that harbored some of the most difficult roads–craggy, rock-covered hillclimbs that had to be taken in low-gear and at speed to prevent stalling mid-ascent. 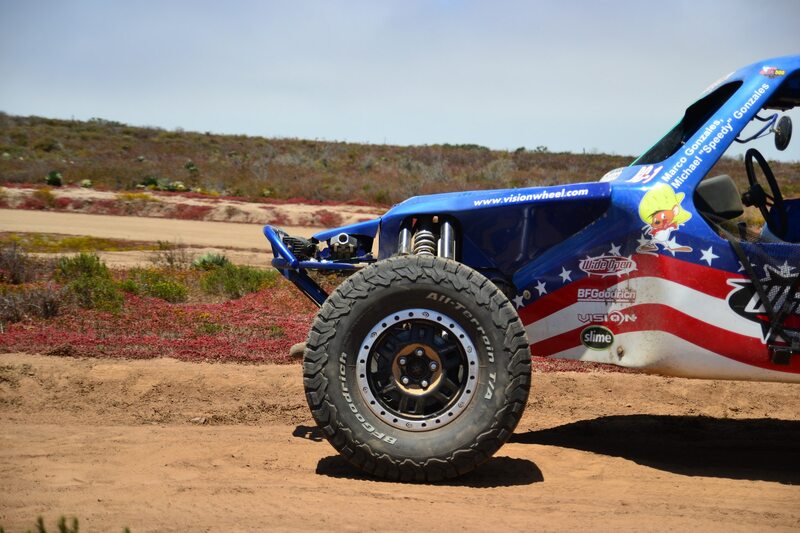 The Challenge Cars seemed to handle the bumps, bashes, and pelting well-enough, but this road would have atomized any lesser rig, including shiny Ford F-150 Raptors and even the new Chevrolet Colorado ZR2. 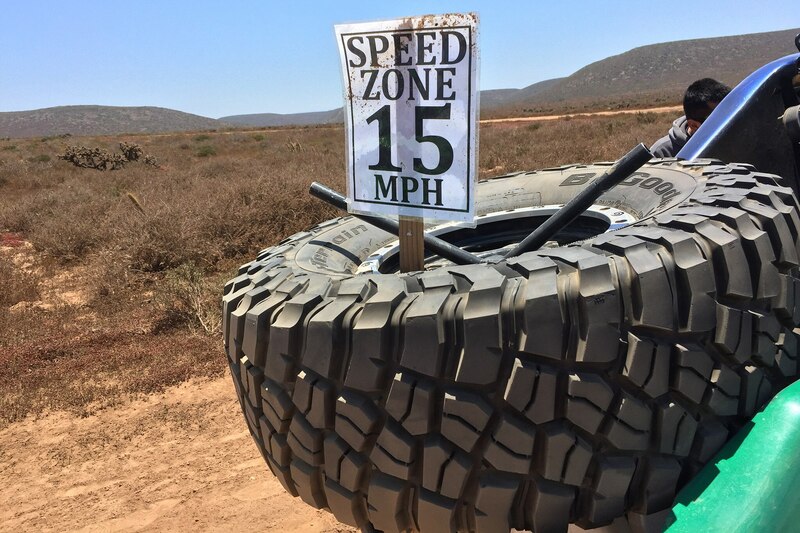 At the top of this bone-powdering gauntlet sits Mike’s Sky Ranch, second first overnight stop. 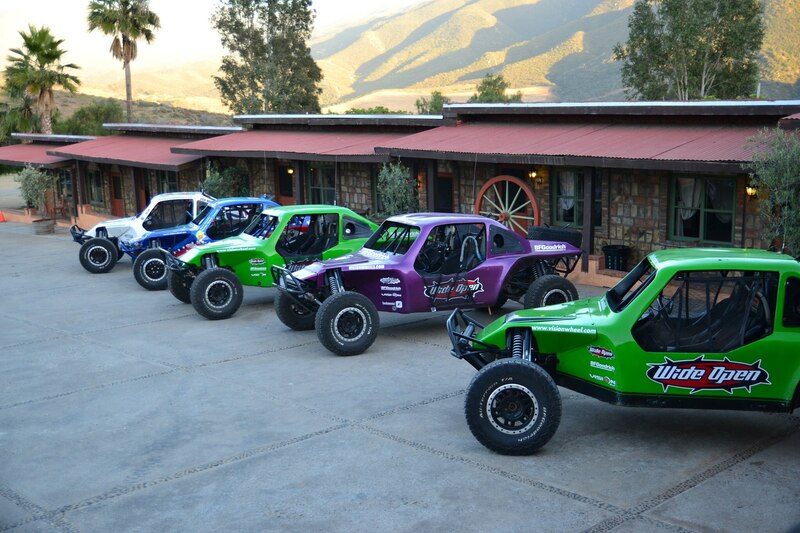 This is a legendary destination for Baja 1000 competitors, some of who go off-route just to stay the night. 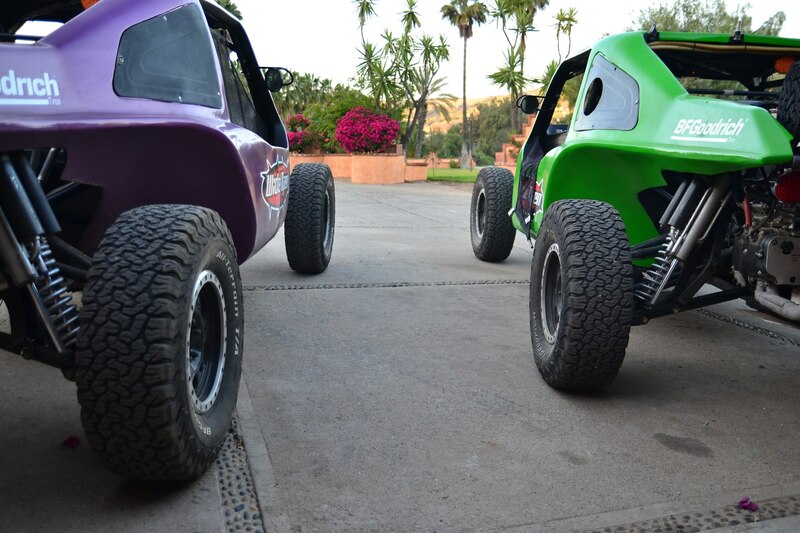 After checking out the main building, which is plastered with an incredible amount of stickers from Baja teams and visiting enthusiasts, we once again set off for the trails in the early morning. 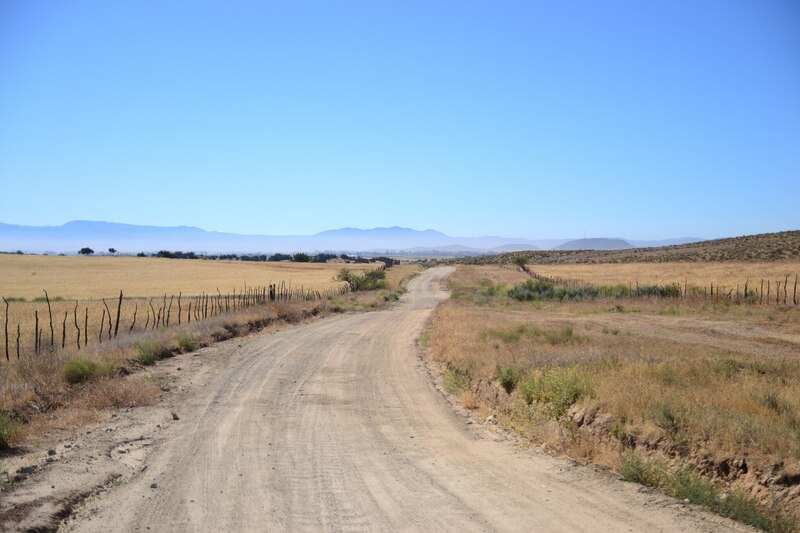 After some more ranch roads and desert paths, the farmlands gave way to a sharp, arid terrain reminiscent of Chile’s Atacama Desert. This stretch of pockmarked hills was billed as “seven miles of hell” by our guide, a title we found apropos. 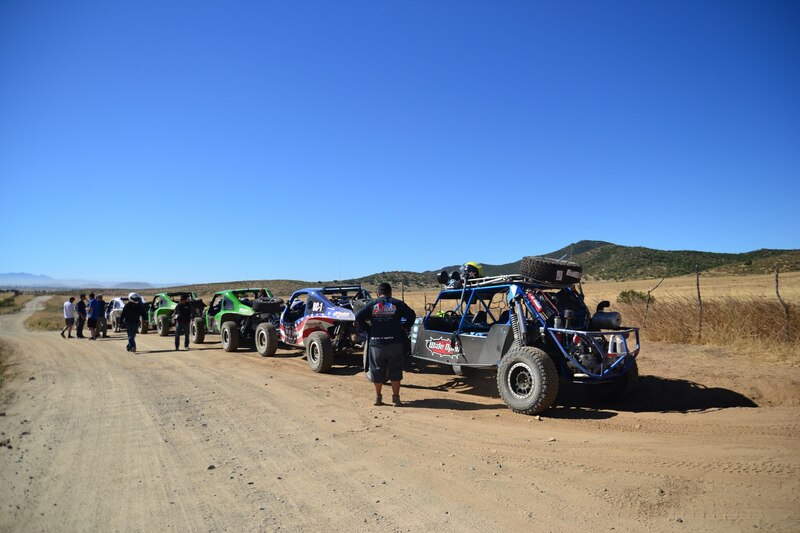 Craters, boulders, and jagged rocks brought our speed down to the single digits in some cases, and cost the support buggy one of the gears in its transmission. Bashing through the seven miles of hell spit us out onto a breathtaking coastal stretch that was one of the most beautiful and affirming moments of my career. On one side, the Pacific crashed against the rock beach, and on the other, a sandy field of small red berries tinged the landscape crimson. The air was cool, the roads relatively flat, and the scenery perfect. 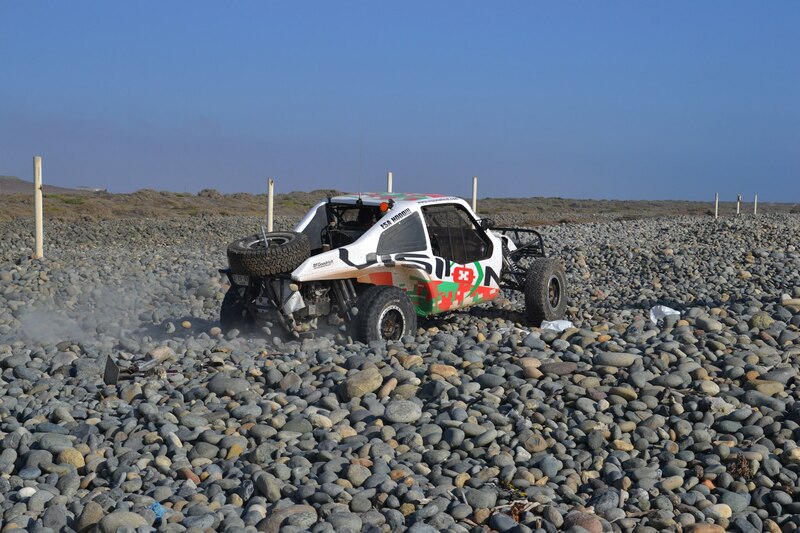 “Car One, stay right where you are. 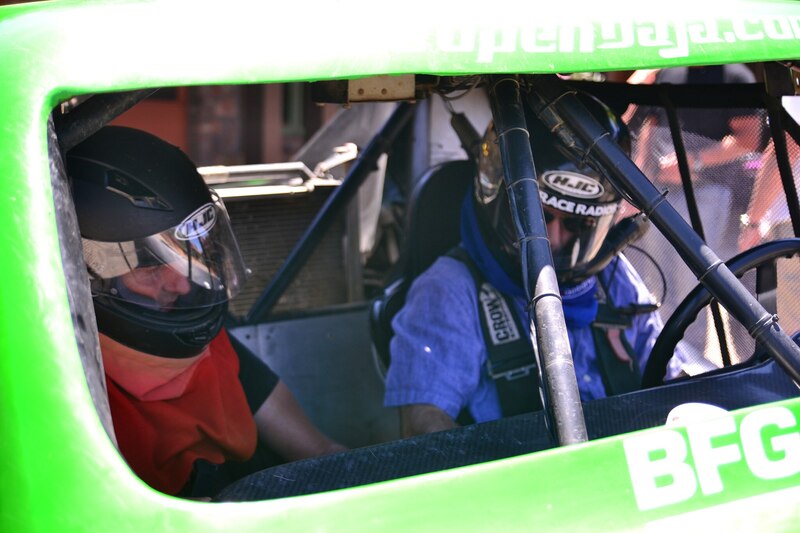 Car One, don’t move, stay exactly where you are!” the call came from our guide James, who usually stays 20-30 seconds ahead of Car One (I was Car Four). “Ok, approach very, very slowly, then come to a stop once you see the cliff,” the radio squawked once we confirmed we could hear him. A bridge on the coastal road had given way, leaving a roughly 15-foot drop into a muck-lined ravine. From down the road, which gently crests over a small slope, the wash-out appeared as a simple ditch that could be taken at speed, only turning into the valley when it was too late to stop. James and his two-tone car had jettisoned off the cliff, smacking into the adjacent concrete wall and bouncing into the ravine. 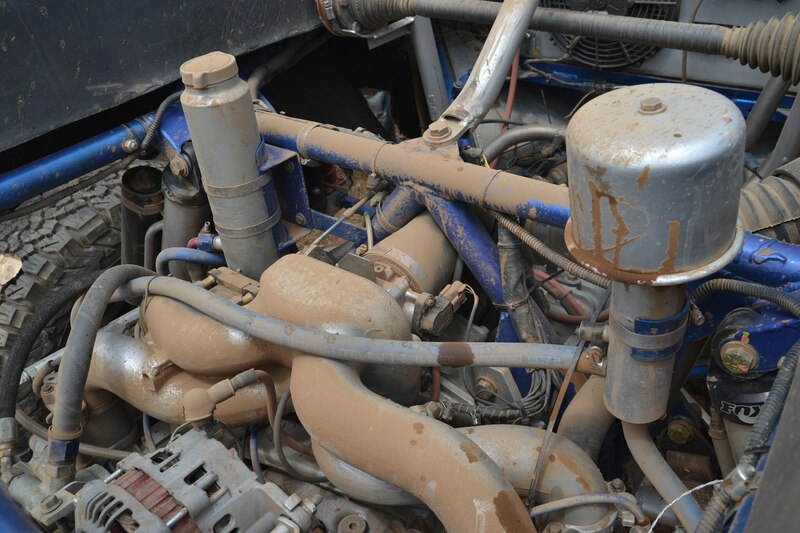 Fortunately, the car was mostly intact—it was driven out of the pit under its own power once the support crew arrived on-scene—and James made out with just a few scrapes and a sore neck, a testament to the Challenge Car’s safety. 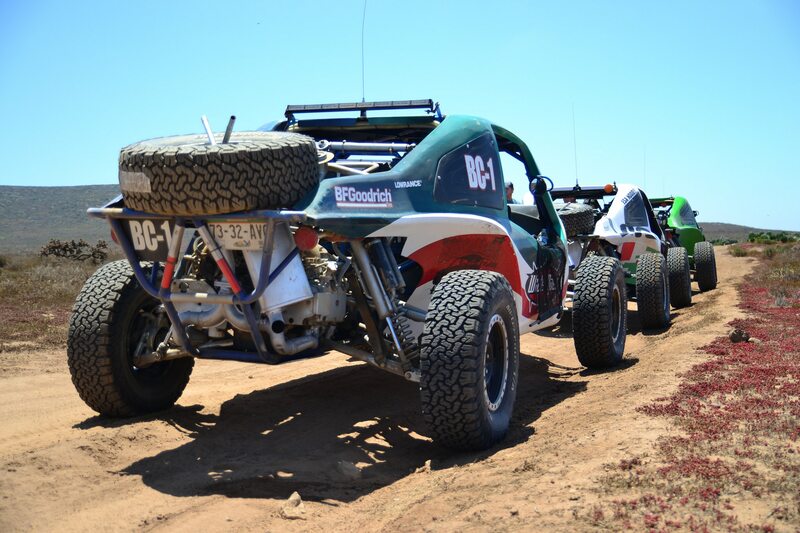 Being as tough as the car, James was off again once the backup buggy arrived, leading the pack to the next checkpoint. As we continued south, we blasted up full-sized sand dunes, through a massive Brussel sprout farm, over nearly impassable silt hills, and past small cities, abandoned churches, dead cattle, and palatial estates to end up close to where we started on the first day. 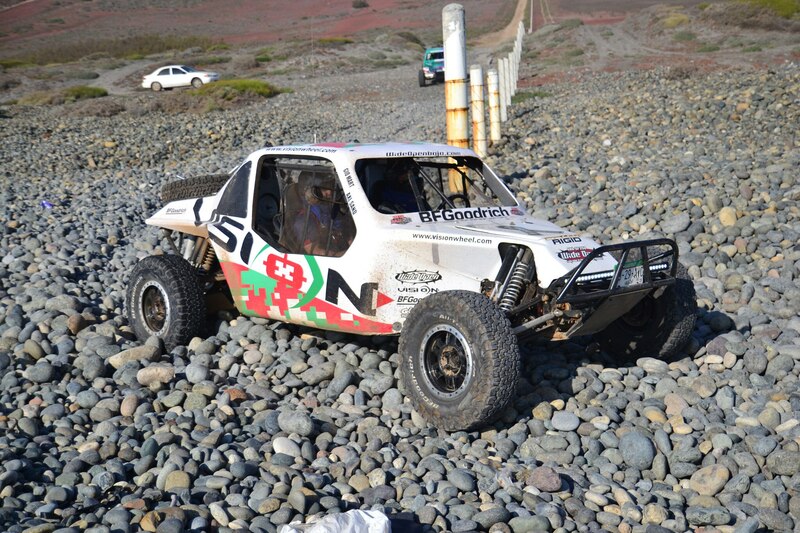 I was hot, tired, grimy, and thirsty, but never before had I felt so proud and satisfied with a drive. As I wrote this, I came to realize just how much beauty and experience that was packed into four days. 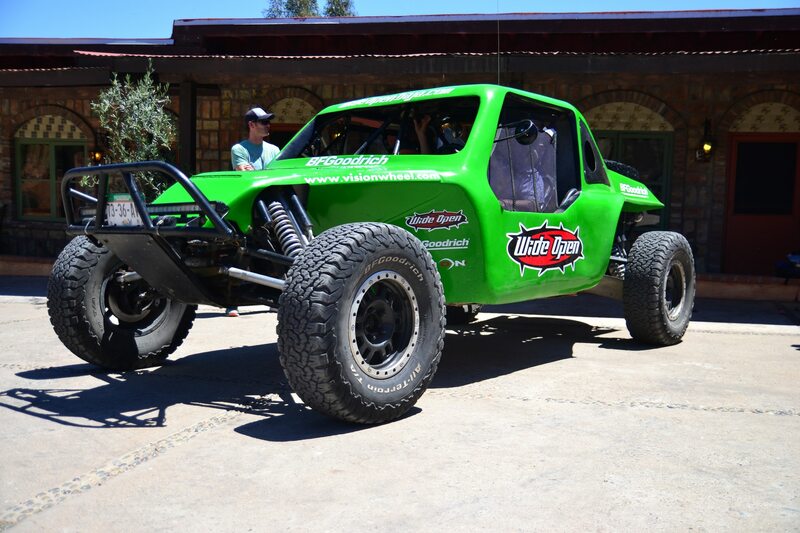 I thought my last Baja experience would be my last, but now I think this is just the beginning. 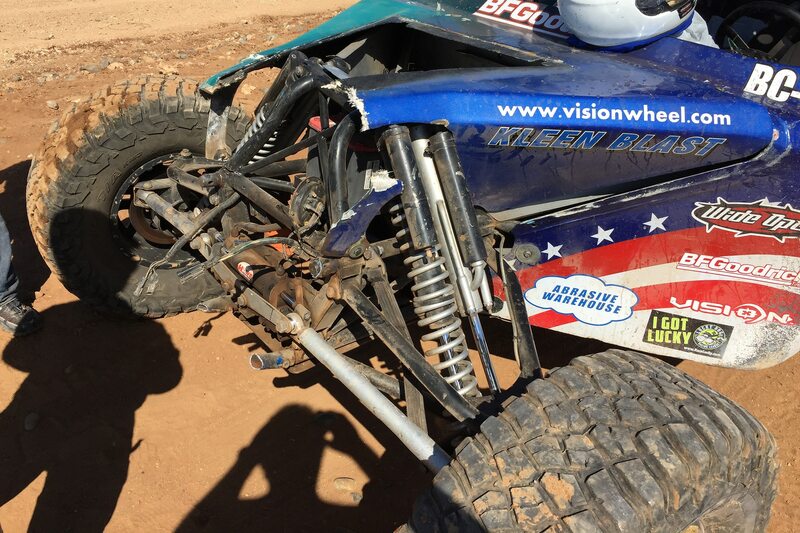 Thanks, Wide Open Baja, I’ll see you at the border.